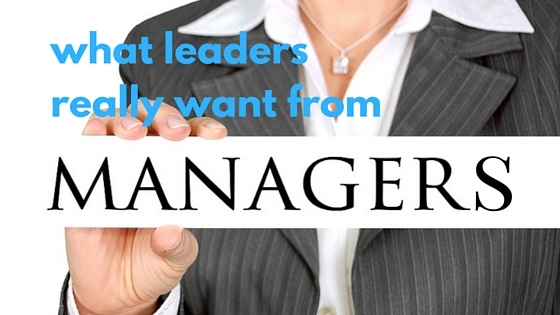 What do business leaders really want from their managers? Is it their experience, knowledge and technical expertise? These things are important to business leaders when they recruit people into management positions. However, as LEAP MD Mike Gaffney explains, what leaders really want from managers more than anything else is for them to take ownership of the role of manager. That means making decisions, fully committing to them and taking responsibility for outcomes. The number one requirement that leaders want from managers is for managers to take ownership for their area of responsibility. That means making decisions, dealing with the problems in their area and generally getting on with the job and delivering on their department’s objectives. They want managers to stop looking over their shoulder waiting for approval or permission to make decisions. There is an old saying that many leaders and managers are familiar with that goes ‘seek forgiveness rather than ask for permission.’ It’s vital to be decisive in your role as manager. Make a decision, look for the best outcome and if it works out great. Make sure you are able to explain why it worked out so it can be replicated. If it doesn’t work out, dust yourself down and get on with the job because that’s your responsibility. So ownership is by far the biggest requirement leaders are looking for from their managers, but decisiveness is also a crucial factor. Another key element leaders look for is commitment. This simply means following through on decisions and ensuring that others in the team do the same until company objectives are met. If managers take ownership of their area, and are prepared to make clear decisions and fully commit to them, then leaders can focus more of their time on doing what they do best – leading the business. So the message for managers is clear: take ownership, make decisions and fully commit to them. What if I as a manager make a decision and it turns out to be the wrong one? If the decision goes wrong for the manager, it might cause problems and tempers may get frayed because of it. However, you are actually delivering on what you were hired to do. You were hired to take responsibility for a particular area of the business, to make it work as best you could. If you don’t take ownership or you can’t make decisions then you are not managing. You might get into hot water from time to time but when things cool down, the smart business owner will realise that you took ownership and you were decisive and you fully committed to your decision. They can see you are doing your best as a manager. That shows you take responsibility for your actions and that is something they can respect. What they cannot respect is a lack of responsibility or ownership of decisions and outcomes. So managers should be prepared to make decisions rather than asking the business owner for permission all the time. The outcomes may reveal that the role was beyond you and your capabilities but it won’t be because of a lack of commitment or indecision on your part. 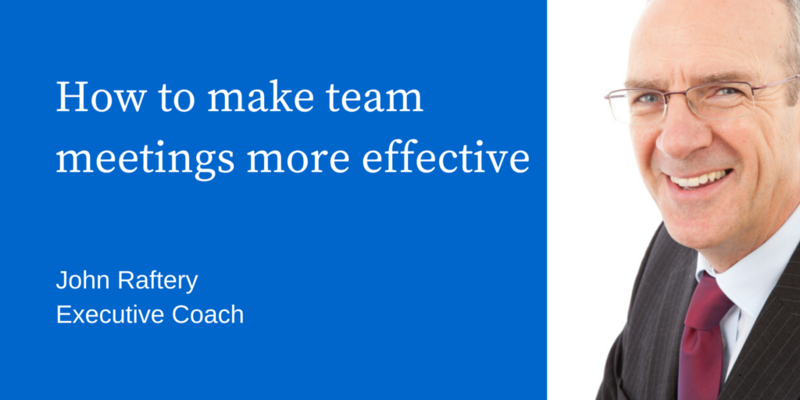 In this part of John Raftery’s series on visual management he addresses the problem of team meetings that lack purpose, and have little effect on performance. 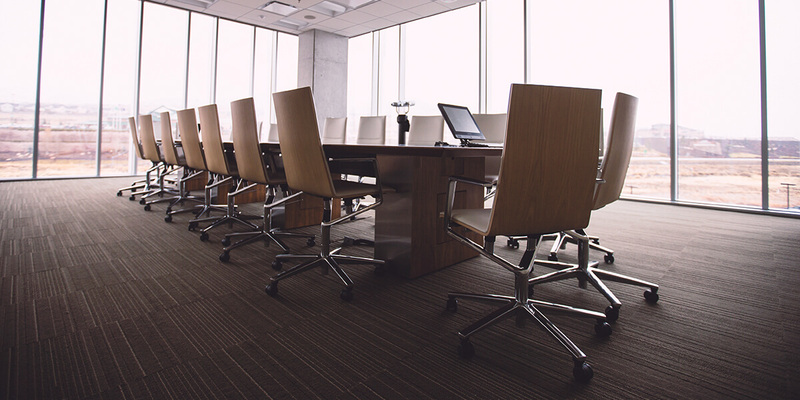 Due to a lack of delegation and accountability meetings will often drift off the agenda, with team members no better off after the meeting than they were before it. What can managers do to correct this? Here John explains how to make team meetings more effective, and how a simple visual aid like a Gantt Chart can transform meetings. ‘What companies need are not meetings for meetings sake. Meetings do have a bad name and the reason they have a bad name is because they go on too long and tend to go off track. People often come in ill-prepared for the meeting, then minutes are taken and issued out. People don’t look at those minutes until just before the next meeting takes place, so nobody really takes any action. The meetings just go on and on indefinitely, without really achieving anything. There is no tracking mechanism to see how effective the meetings are. The simplest and most effective way to make meetings useful and efficient is, once again, to introduce the concept of visual management. If you were to do a Google search on work plans you will probably see lots of different examples of plans which are basically Gantt Charts. Instead of issuing minutes to the team after a meeting, all you need to do is take your weekly or monthly meeting and divide it up into 4 or 5 core areas. Under each of those core areas you will have different lines of action in the left hand column. The next column will show who the owners of the lines of action are, in other words who’s responsible for implementing those actions. Then divide up the right hand side of the page with a timeline of 12 months or 52 weeks. There you track the activities by colour coding them using green, orange and red. Green indicating actions completed successfully within the timeline, orange indicating actions delayed or postponed and red indicating actions incomplete within the timeline. 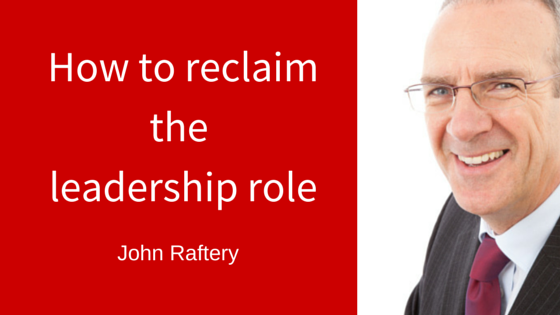 John Raftery is a business advisor and executive coach at LEAP. Generally speaking, people spend more time interacting with their colleagues at work than they do with family and friends – people may be at home for 14 hours on a work day but they spend a significant amount of that time sleeping! So the workplace is an important place in their lives. People who don’t feel valued and supported at work become demotivated with a corresponding drop in productivity. Most people dislike conflict. It isn’t the easiest issue to address as it has the potential to escalate or expand to involve others in the organisation. However, conflict can be successfully resolved and indeed avoided if addressed early. Disagreement is healthy as it can often lead to newer, more innovative suggestions being identified. 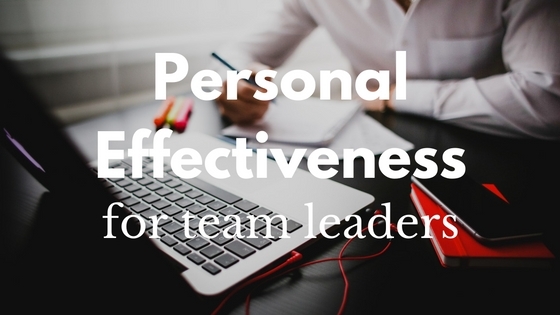 When disagreement becomes entrenched or personalised it is unhealthy and a manager needs to tackle it immediately. Believing it will go away or resolve itself often leads to the issue escalating resulting in individuals withdrawing, taking sides or fuelling the fire. Managers are sometimes reluctant to ask the question “Is everything okay?” for fear that the answer may be “no”. Regularly asking the question allows individuals to raise concerns or issues early when they can be easily resolved. It builds stronger relationships between managers and team members enhancing communication and co-operation. Tricia Cunningham is a partner and business advisor at LEAP. For many decades psychologists and business leaders have observed, practiced and preached about effective business leadership. The result is a wealth of tools and materials to help guide the development of business owners and managers. Here LEAP’s John Raftery explains how freely available online tools can help you play to your strengths, and become a genuine leader as opposed to a David Brent-style caricature. John, what does self-awareness mean in practice? The key components of Emotional Intelligence are self-awareness, motivation, self-efficacy, empathy and social dexterity. But in order to develop the other four key factors in emotional intelligence you must start with the foundation which is self-awareness. Without self-awareness you won’t know what issues to address, you won’t know what your strengths or weaknesses are. So the key component in success is to build a high level of self-awareness. The trouble is that’s not easily achieved; there is no formula or quick fix for building self-awareness. It is something that is developed over time. It’s about reflecting and understanding yourself at a deeper level and that can only be achieved through maturity and growth. We all meet people who have high levels of self-awareness and we meet people with very low levels of awareness. How you build self-awareness is a challenge. One thing you can do is to spend more time reflecting on your behaviour, your day’s output and trying to understand other people. The best way to do it is to devote more time to personal development. That means along with the technical skills that people learn on the job, you’ve also got to do some soft-skills training as well. You have to look at personal development like communication, negotiation and listening skills, personality profiling and understanding the various personality profiles. There are lots of different tools out there. ; some are free tools and can give you information relating to your personality type. You can learn a lot from them if you reflect on the results and take things on board. If you complete a number of these tests you may begin to see a certain consistency which helps you to articulate who you are more effectively. There are lots of good books out there too. A lot of good work has been done by Martin Seligman about authenticity and identifying what the drivers are in our personalities, and trying to achieve success in life and re-prioritise what we regard as success. His book is called Authentic Happiness and he’s been a big influence. Daniel Goleman’s book on emotional intelligence is also a very powerful one in terms of trying to understand yourself. A lot of HR managers use Myers-Briggs for personality profiling. What I’m saying is that self-awareness is about reflecting on your behaviour and trying to understand yourself better, and there are tools and reading materials available to help you do that. 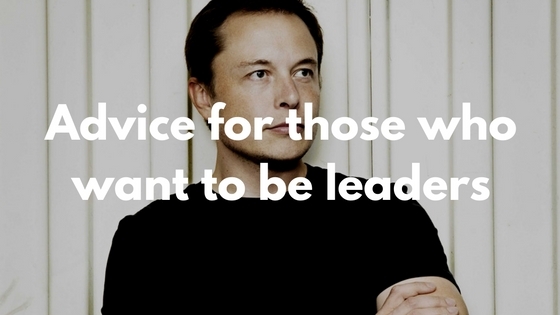 But business leaders and managers can take it to another level. Tools like performance management systems have in-built behaviours to help you develop your capabilities as a manager or leader. 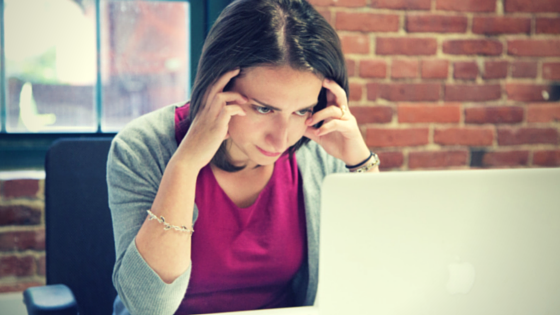 Tools like the 360 degree feedback can be useful in understanding how other people view you. Sometimes there is a disconnect between how other people view you and how you see yourself. People often view themselves one way but present themselves to the world another way, and that indicates there is a problem. It indicates a low level of self-awareness. Is there a danger of someone reading personal development books forcing themselves to act a certain way according to what they’ve read, but the ‘act’ is at odds with their authentic self? Yes that’s a big issue. It reminds me of the character David Brent from The Office, that’s exactly what he represents; somebody who has a very low level of self-awareness. He has an image of himself as being very smart and clever. He has obviously swallowed all the management development books but it’s come out all wrong, and that’s why we find Brent so funny. He actually does represent that type of character that believes one thing about himself, but behaves in quite the opposite way. So that is a danger of course, we’ve all met those Brent types in our working lives. But we also meet very genuine and authentic people. There is a difficulty here in defining someone who is authentic, orto give a formulaic answer to the question of what is authentic. But when we meet genuine people we know instinctively that they are genuine people. The greatest compliment you can pay someone is to say that they are genuine. One of the biggest insults is to say someone is harmless. It means they are ineffective, they have no influence or authority as they go through life. But in relation to genuineness, another word for it is congruence, where your behaviours fully reflect how you view yourself. So if you view yourself as trustworthy then you are absolutely trustworthy. But sometimes we behave in opposite ways to how we see ourselves. To be consistent in your behaviour, regardless of what situation you’re in, is really the sign of being genuine and authentic. When the pressure is on you don’t suddenly revert back to type. You don’t dispense with proper behaviour, you don’t decide that manners are no longer necessary because you’re in a rush. Your behaviours have to be consistent irrespective of the environment, because the environment changes all the time. To be authentic means you stick to your beliefs and that your behaviours, and your view of yourself, are totally consistent. That’s how to build trust, you do what you say you will do. Self-awareness is key to all that. In part 1 of this interview with John Raftery we addressed issues of micromanagement, and the detrimental effects it can have on business leaders and their staff. In part 2 we address the task of reclaiming your role as a business leader. This task may appear daunting at first, but with a practical and methodical approach it’s possible to reassert your position as innovator, visionary and business leader. How can a business leader reclaim the leadership role? You’re talking about changing behaviour and that’s one of the most difficult things to do, whether it’s giving up smoking or losing weight or cutting down on drinking. These are all behaviours that are very challenging and we often need external help to tackle them. When we talk about changing the behaviour of your team, or how you reclaim the leadership role, it’s difficult to do but it can be done through a programme where you identify and articulate what the issues are. Why is there a lack of confidence or performance? What are the capabilities of the management team? What’s the level of trust between the management team and the business owner? What’s the level of performance versus the level of potential? All of these things are in the mix, and from that you have to try and reshape the management team, and at the same time get the leader to change their behaviours and their way of managing. What are the first steps in reclaiming the leadership role? It will have to start with the relationship between the business owner and the senior management team. In an organisation where the owner is there every day, there is a lack of clarity about the role of the senior managers. It’s very up in the air. Responsibility is spread across a number of people. Those organisations are not good at structure, clarifying roles or measuring the impact of each department and assigning accountability to senior managers. Or getting them to report regularly, weekly or monthly, so you get a clear insight into business performance. Or get clear accountability so you can assign performance to individuals. You have to create that environment. When you create that environment the owner should then be able to step back and look more at the bigger picture, the bigger issues. The big issue could be one or two managers who are just not capable of performing at the level required. They can step back and deal with those bigger issues. A lot of SMEs just get stuck into the work and build up a lot of knowledge about the product or service, but they don’t get any formal training in managing people or management methodologies. You can get away with that to a certain level, but it can eventually undermine the business, so you have to determine if it’s a capability issue or a training issue, or is it just the wrong person in the wrong job. The management team have to know what their strengths are and play to those strengths. Some managers end up becoming involved in areas they should not be involved in. How can LEAP help business leaders reclaim the leadership role? Over the years I have seen a lot of people in leadership roles observe problems in their organisations but they don’t know what to do about them. So they often go and decide there is a problem with a particular supervisor or department. Then they go out and get them a training programme and hope the programme will address the issue and they don’t really look beyond that. But very often we find the issue is not really with the supervisor, it might be with a senior manager or even the owner, but they don’t see that, so there is a great benefit to getting someone external to see what exactly the issues are within the whole organisation. Going back to what I said earlier on about changing behaviours, you do need an external force to help you change behaviours. It’s very hard to do it on your own. Does LEAP act as that external force for business owners? That’s what LEAP offer, a sounding board. LEAP can act as an honest broker between people and give a non-biased view of people and situations where there’s no vested interest. A lot of people would be afraid of upsetting the apple cart, acting very cautiously and that gets in the way of real honesty. People’s motives are not as clear as they should be and cultures build up in a company, like a culture of fire-fighting, or a blame culture, and that can spread right throughout the organisation. It’s very hard to get it out and it can have huge detrimental effects. Sometimes people within the organisation can’t see it because they are the culture. But someone external can see it straight away and challenge it, and also figure out how they are going to help the organisation rid themselves of that culture, and replace it with something more positive and beneficial. If I’m a business owner struggling with these issues why should I call LEAP? Because of our depth of experience; we have undertaken very transformative programmes with companies where we have had a serious impact on their business. Another reason is the level of integrity. If we feel that a client is not on board with us, if we feel there is a lack of honesty, we would walk away from an assignment if we felt it wasn’t right for us, or for the business owner. Integrity is huge and I think people pick up on that when they meet us, that we genuinely want to help clients. We have the knowledge, the experience and we have the track record of being able to help.